MULTI18HP230V1AO NEO 09HP230V1AH (TWO) GREE Air Conditioners And Heat Pump. Manuals, borchures, specifications, information, reviews. No project is too large for Gree. 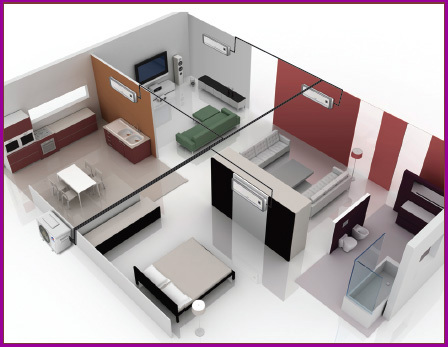 Our Super +Multi heat pump systems utilize G10 inverter technology to provide lower power consumption and quieter sound levels, while providing trouble free comfort. 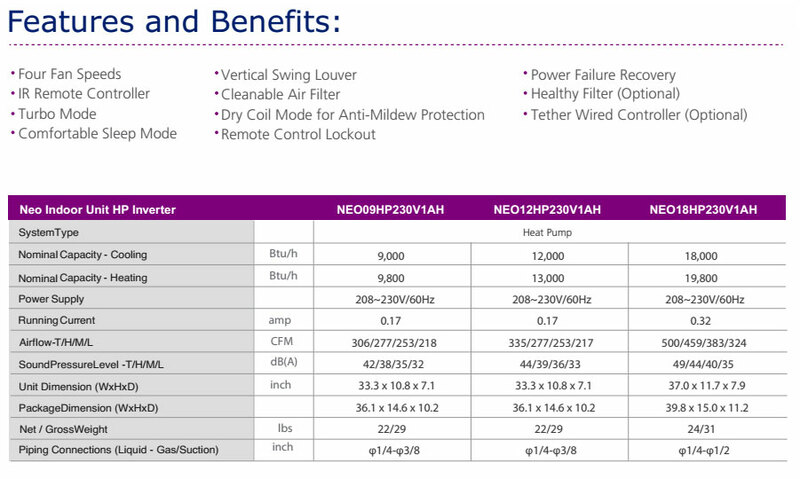 Gree's 2-port or 3-port BU Modules vary refrigerant volumes and allow one outdoor unit to connect to as few as 2 to a maximum of 8 (48,000Btu/h) or 9 zones (56,000 Btu/h). 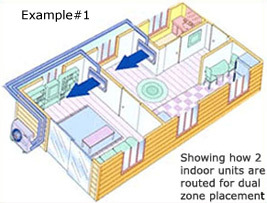 The longer refrigerantline capabilities, of Super +Multi heat pumps, simplifysystem layout and offer much more flexibility locating indoor units. · 7-year on compressor and 5-year other parts. 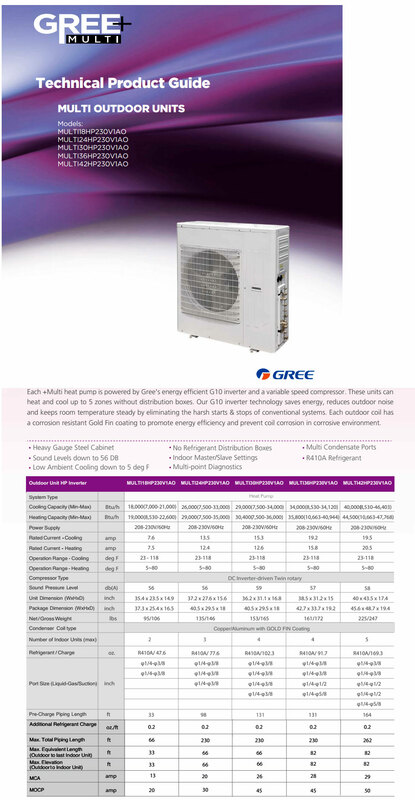 GREE Electric Appliances, Inc. is the world’s largest specialized air conditioner manufacturer, selling more than 100 million units in over 100 countries since 1991. 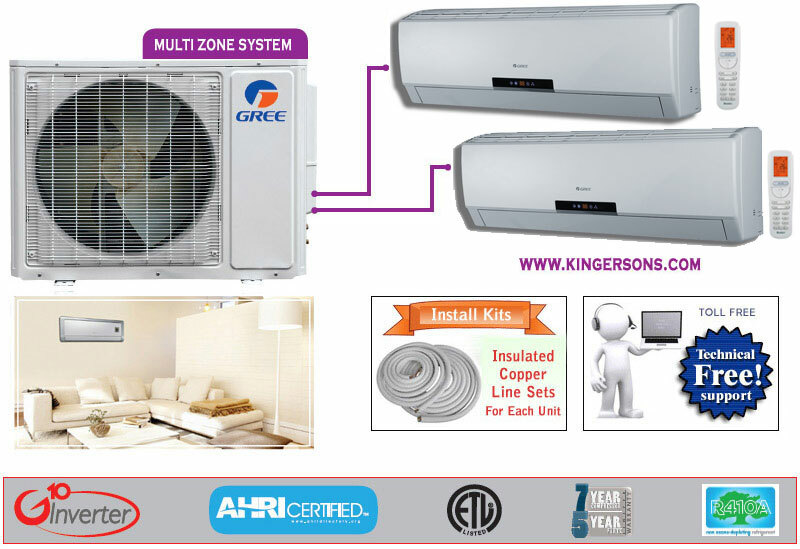 The GREE brand is world-renowned for engineering 7,000 different models in 20 product categories, developing 3,000 worldwide technical patents and pioneering the Variable Refrigerant Flow system that has revolutionized modern day comfort.GREE prides itself on the reliability and quality of its products. World class, state-of-the-art quality control methods are employed throughout the manufacturing process, including the use of a separate plant where all key components are pre-tested. More than 1,000 Research & Development technicians spend each day pursuing new and innovative designs as a commitment to ensuring customers always receive the highest quality for the best value in the world.